GERMAN car giant Mercedes-Benz has used prestigious Australian car show Motorclassica to this morning unveil its Special Edition SL 500, while celebrating the 60th anniversary of a memorable motor racing success story. Its name commemorates the unexpected victory of a 300 SL in the production sports cars class at the 1955 “Mille Miglia”, one of the world’s most challenging long-distance races. What’s more: the SL Special Edition “Mille Miglia 417” provides a special experience of the unique symbiosis of maximum comfort and motor racing spirit that traditionally characterises every SL. The Special Edition adds a distinctive note, among other things, with red exterior highlights and fine materials in the exclusively appointed interior. The Mercedes-Benz SL Roadster is more than an icon. Passion shapes its character and its charisma – in the past and today. Legendary vehicles and their stories dominate the model history. One of them is told by the SL that started the famous “Mille Miglia” in 1955 with race number 417 at 4:17 am. After 11 hours, 29 minutes and 21 seconds it had completed the race distance of 1597 kilometres on public roads from Brescia to Rome and back. Driven by the American private driver John Fitch with assistance from his co-driver Kurt Gessl, it crossed the finish line to great acclaim in fifth place of the overall standings and as the winner of the production sports cars, leaving numerous racing prototypes behind. Production 300 SL cars also took second and third place in this class. After 60 years the new SL Special Edition “Mille Miglia 417” now expresses the laudatory proclamation about this victory and the car with race number 417. For this reason Mercedes-Benz also integrated the legendary number “417” into the badge of this special model as a reminder – a symbol for the passion that helps shape the charisma of every SL Roadster. Performance, pronounced sportiness and innovative roadster comfort are hallmark fundamental features that also distinguish the Special Edition “Mille Miglia 417”. The 6-cylinder engine in the SL 400 with 245 kW and the eight-cylinder engine in the SL 500 with 335 kW enable top sporting performance. Mercedes-Benz has further upgraded the luxurious yet sporty interior with fine materials and meticulous master craftsmanship. The AMG Line seats as well as the black centre console with contrasting inlays and red edging are eye-catching features. The leather headrests sport an embossed carbon structure and an embroidered “SL Mille Miglia” label. Red edging also outlines the black door centre panels with red armrests. The easy-to-grip steering wheel is wrapped in red and black nappa leather with sporty embossed carbon structure and bolsters the sporty ambience. The trim elements have a matte carbon finish. The black floor mats with red edging sport an embroidered “1000 Miglia” label. 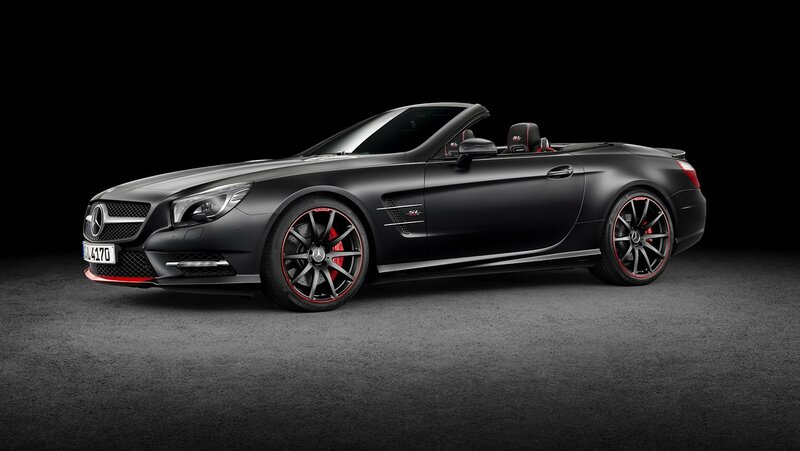 The SL Special Edition “Mille Miglia 417” is available as an SL 400 and as an SL 500 model. The price premium (on top of the standard car price) for the classy and extensive optional extras that lend the SL Roadster a special flair is $15,900 (MRLP) for both models, and is available now to order. THE Consumer Electronics Show (CES) is best known for the launch of things like the X-Box 1, or PS4, or the next generation Wii from Nintendo, but many car companies also use it to showcase motor vehicle technology.